Built 1903 to the designs of architect William Douglas Caroe. Grade II listed building described at this Link . For more on Caroe and the history of his architectural practice see this Link . 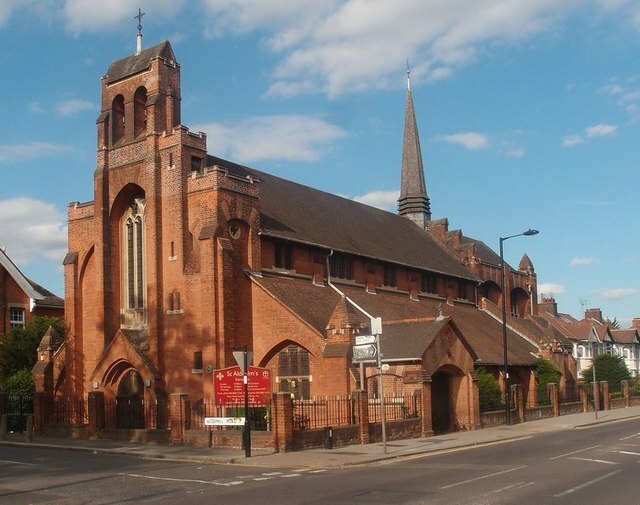 Caroe was also the architect of another of Edmonton churches, St Michael, Bury Street (converted into residential accommodation known as "Caroe Court"), illustrated at this Link .